Travelling or relocating to Colorado and seeking professional Concierge assistance? CLICK HERE for a list of hotels, properties and businesses where our members are found! 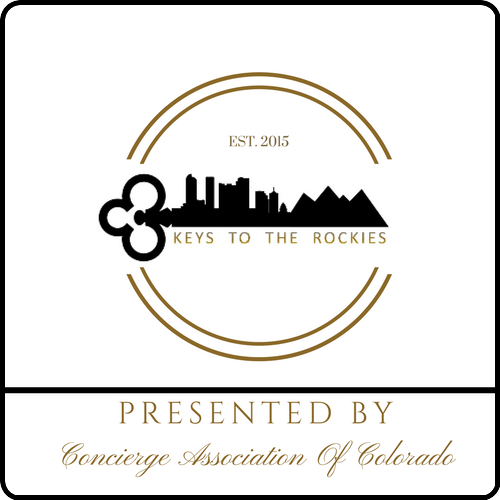 Each year the Concierge Association of Colorado hosts our Keys to the Rockies Vendor Fair. This event invites key members of the Colorado community to come together for a gathering of premier businesses to promote hospitality. The Concierge Association of Colorado is open to all Hotel, Residential, Private and Corporate Concierge in the State. We are comprised of over 50 Concierges, primarily in the Denver Metro Area and also in Colorado Springs, the Vail Valley, and Telluride. As representatives of our profession we strive to promote the values and growth of our organization and the position of Concierge. The CAC affords members the opportunity to network with colleagues, build relationships within the community and foster friendships.